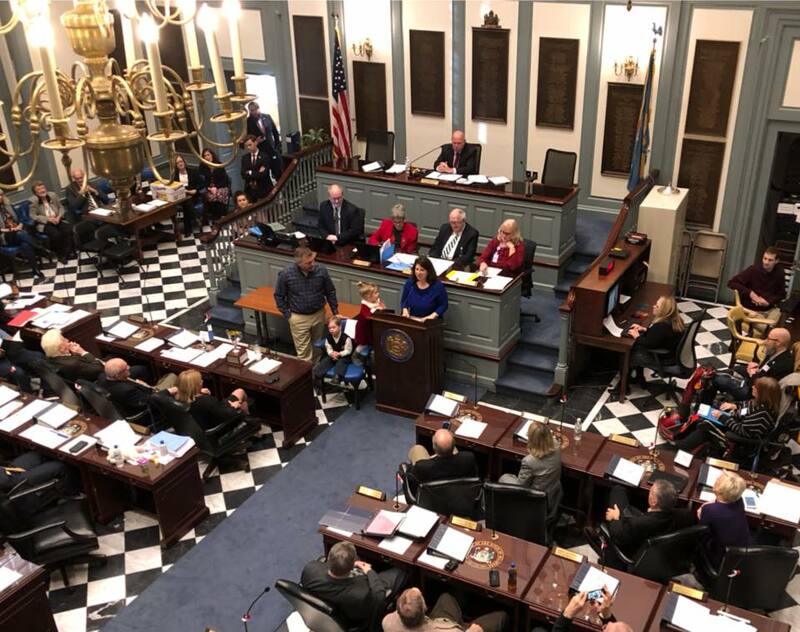 State Representative Melanie George Smith, who has faced controversy recently over her residency, or lack thereof, in the 5th Representative District that she has been representing for over 16 years, has announced on the House floor that she is retiring at the end of her current term. She had been frustrated with the budget process after last year’s protracted budget fight, and had had some friction with Speaker Pete Schwartzkopf regarding her chairmanship of the Joint Finance Committee. There is no word yet on whether any of these considerations played into her decision to retire. The photo above is courtesy of Lisa Goodman on Facebook. It captures the moment when Ms. Smith was announcing her retirement from the House floor with her family by her side. So you dont have the basic qualification but you can continue to have that spot for another 11 months?